In its complaint, sources told NDTV that the army had not identified the people who had attacked its convoy with stones and bricks, endangering the lives of soldiers and damaged government property. It is for the police to probe the case, identify the suspects and prosecute them. Srinagar: Hours after a top army commander in Kashmir called the police case against a Major-rank officer premature, the Army has filed a counter First Information Report, or FIR, over the attack on its soldiers that had forced them to open fire at protesters in south Kashmir's Shopian district last week. Three people had died in the firing which escalated tensions and protests in the Kashmir valley. Chief Minister Mehbooba Mufti had then assured people that the police case against the army would be taken to its logical conclusion. But a political row erupted soon after when it transpired that the state government's FIR had named the army Major who was leading the convoy that had come under attack. On Monday, the Chief Minister attempted to mollify angry BJP lawmakers in the state assembly, telling them her government had filed the FIR only after consulting Defence Minister Nirmala Sitharaman. "She told me that I should take action if any carelessness or anything wrong has happened," Chief Minister Mehbooba Mufti told the assembly. Army sources, however, insisted that the soldiers committed no wrong. A convoy of around 30 army trucks was traveling through the south Kashmir district when a few trucks got separated and were trapped by protesters. 10 soldiers were trapped by over 200 stone-throwing protesters. When a senior jawan sustained head injuries and persuasion did not work with the aggressive mob, the soldiers opened fire. Lt General Devraj Anbu, the northern Army commander, today declared that the Army had conducted its own inquiry into the firing and found that the soldiers were "provoked to the ultimate" and had "acted in self-defence" and to "protect" government property. "I think they have prematurely put the name of an individual," he said, adding that the police should have filed "a generic FIR" which does not take names in such cases. News of the counter FIR came hours of the strong words from the top army commander. 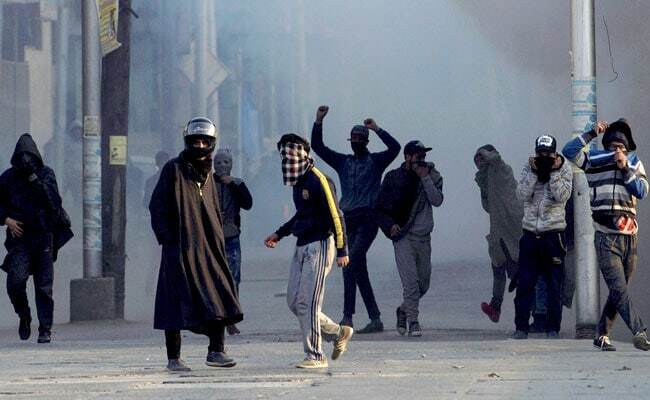 Army sources said around 30 army trucks were heading to administrative duty on Saturday when a few got separated and were trapped by protesters who hurled stones at them in Shopian district. 10 soldiers were trapped by over 200 stone-throwing protesters. When a senior jawan sustained head injuries and fell unconscious, the soldiers opened fire at the aggressive mob.